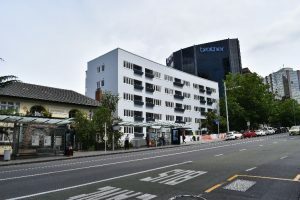 The former ‘State Flats’ at 44 Symonds Street were built in 1947 and are scheduled as a Category A Heritage place in the Auckland Unitary Plan. 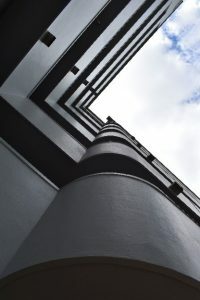 The flats are of national significance being an example of multi-unit flats developed by the first Labour Government (1935-1949) and as an early example of Modernism in New Zealand. 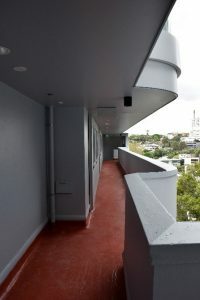 The design of the flats represents an important work of notable architect Frederick Newman, executed under the supervision of Chief Architect F. Gordon Wilson of the Housing Division of the Ministry of Works. archifact – architecture & conservation ltd was engaged by the University of Auckland as conservation architects for this important project in association with RTA Studio. The project conserved, refurbished, and adaptively re-used the building, which is now Post Graduate Student accommodation. Archifact – architecture & conservation ltd was able to work with the team to ensure that respect and consideration to the heritage values of the place were adhered to and the result is one of the best examples of revitalisation of a significant heritage place in the Auckland region. Services: Conservation architecture, resource consenting, design collaboration, construction observation, Council and HNZ liaison.